Bollywood-Hollywood actress Priyanka Chopra is an ace for appearing at the red carpet and yet again, the desi girl made a major style statement in a deep burgundy velvet gown on the red carpet of this year's annual Met Gala in New York City. The Quantico star, who is veteran at making excellent fashion choices, paired her Ralph Lauren strapless gown with an embellished gold chainmail coif. Her dress at the affair certainly reminded us of a medieval knight, or of Mother Mary. And her outfits were a perfect ode to this year's Gala's theme: Heavenly Bodies: Fashion and the Catholic Imagination. Finger waves and deep burgundy lips gave a finishing to the Baywatch star's look. Priyanka opted for gold glitter on her arms and eyes which made her more glamorous. 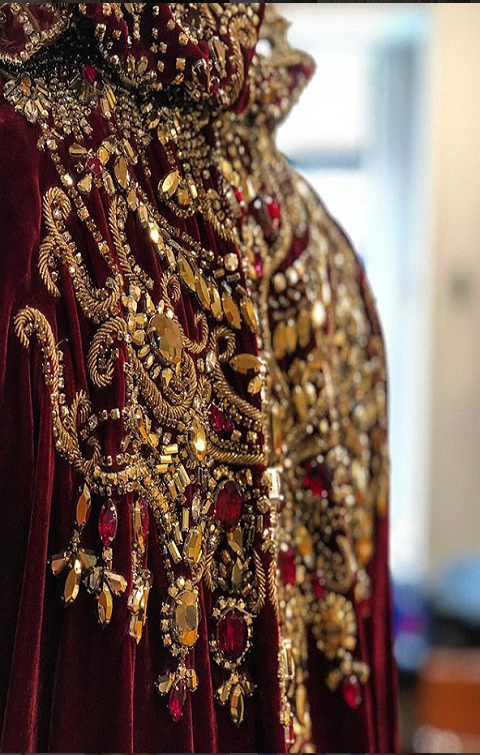 Ralph Lauren shared a close-up look at Priyanka's golden hood via Instagram, revealing that the custom piece took over 250 hours to hand bead. The stunning piece is made of red Swarovski crystals and gold beading. The dress was totally different from the Ralph Lauren trench coat ensemble with a cathedral train that she rocked to last year's Met Gala. Is ISIS aiming to target the whole world after the several attacks on European countries?